Everyone who falls in love with irrepressible, red-haired Anne Shirley longs to know more of her life and adventures. Now, on the very eve of her wedding to Dr. Gilbert Blythe, we can come back into Anne's world in Anne's House of Dreams. Anne is about to leave Green Gables forever and travel with her cherished Gilbert to the misty purple shore of Four Winds Harbor. There is the perfect house with a brook cutting through the garden and a fireplace in the parlor. Can all Anne's dreams come true here? Perhaps, but secrets and mysteries whistle in the breezes. Anne is soon investigating the ghostly tragedy haunting Leslie Moore, the golden-haired beauty next door, and finding a husband for the man-hating Miss Cornelia, as this volume in the Anne of Green Gables series captures all our hearts once again. Susan O'Malley is a wonderful narrator, as she narrates books the way they should be considering they were written in the early 1900's. I wouldn't want to hear anyone else narrate one of these wonderful books. She is very talented in knowing just how to narrate the 'Anne' stories. Don't be put off by the age of these stories or by thinking they are for children. I only realized reading this story that these books weren't written for children but for adults who remember what it was to be young. They bring back the old values of the past that we wish hadn't disappeared. The stories have brought tears to my eyes and made me laugh out loud. Start from the beginning and let Anne be a part of your life! After the previous book I read, this was the perfect pallet cleanser – but still I’m disappointed. Anne is but a mere secondary character in her own story, and Gilbert is far far far out in the periphery… it’s such a shame. I would have preferred to read more about her marriage, her wedding night, her pregnancy, her relationship with Gilbert – her LIFE! Sadly it felt like a repeat of previous books, meaning lots of description about the world around her and lots of detail regarding someone ELSE’S adventures. This book about the beginning of Anne's married life is much more fun for a grown reader than the first couple books in the series. Lots to appreciate on many levels. But ... the narrator is one of the worst I have ever heard. She has a very monotonous voice with no sense of rhythm, often puts too much space between words, and doesn't differentiate characters well or capture the character as written by the author. Where does Anne's House of Dreams rank among all the audiobooks you’ve listened to so far? The book was good, but the reader was frustrating--slow, and didn't play the part of the actors in voice changes. Reading or re-reading this great classic of young ladies' lit is like being wrapped in a sun-warmed, fresh-washed quilt. I have listened to all of the Anne of Green Gables books, and this one was the best narration yet. I loved the way Susan O’Malley brought Anne to life. Each character had a distinct voice and it thoroughly enjoyed listening! This is my favorite Anne book (although Anne of Avonlea competes for a very close second). The story is charming, there is mystery, new characters, and we finally see Anne and Gilbert married! I was pleased with the narration, I think Susan O'Malley captures Anne's voice better than any other narrator I've heard, and she does a good job with the other characters as well (although I think perhaps she portrays Susan's voice as older than it should be). Overall a lovely listen! I love all the &quot;Anne&quot; books, but this one is my favorite. It's the story of the first two years of Anne's marriage to Gilbert. It includes their introduction to the folks of Four Winds and Glen St. Mary, as well as the birth of their first son, Little Jem, as they live in their &quot;dear little house of dreams&quot;. The book ends the day they move to what will be known as &quot;Ingleside&quot; in the later books. Some of the narrators of the &quot;Anne&quot; books aren't very good, but this one is excellent. I recommend picking it up. What made the experience of listening to Anne's House of Dreams the most enjoyable? I particularly enjoyed the character of Captain Jim. 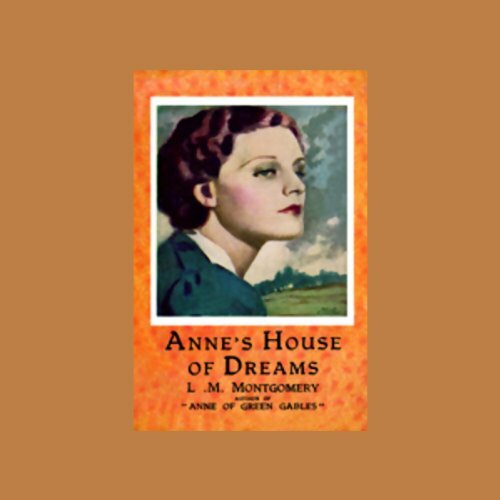 What other book might you compare Anne's House of Dreams to and why? This book has held up for nearly a century and is hard to compare to another. Have you listened to any of Susan O'Malley’s other performances before? How does this one compare? Susan O'Malley turned in another fine performance. Welcome to the House of Dreams. Such hearrwarming story. I love all of the Anne books but this is one if those that takes her outside of Avonlea and puts new challanges in her path.